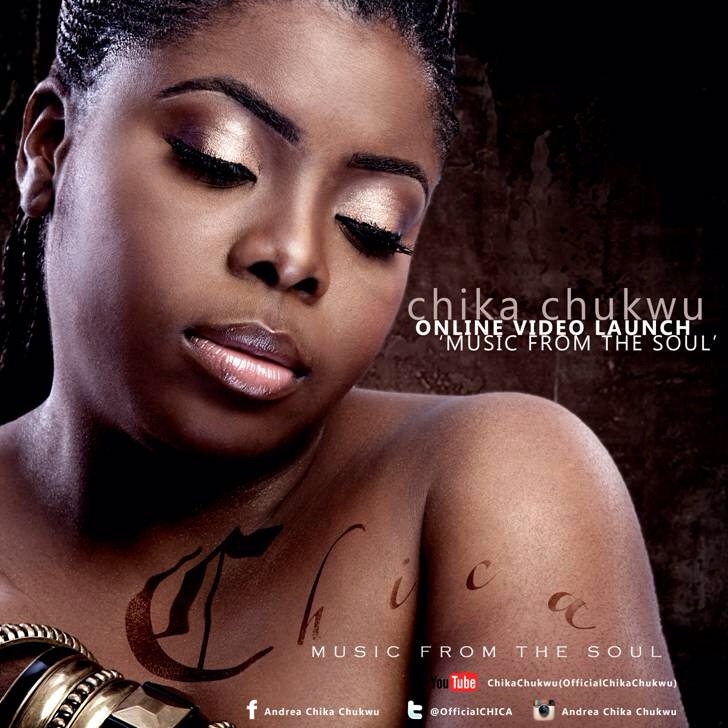 Andrea Chika Chukwu, Nollywood actress-come-singing-sensation simply known as CHICA (an acronym coined from her full name) has made a return to the music world with the release of her latest single "Music From The Soul" from the album Live Love Leap. The album promises a fusion of neo-soul and pop music feel in its entirety with the list including singles like 'Beautiful', "Rockin' my Freedom" and "Music from the Soul" which Chica introduced to us with the first video from the album, which was produced/directed by Stacey Holman and shot in New York. "I wanted to project that feeling of calmness and classy look that New York represents." said the actress who is famously known as "Jumoke" for her role in the popular Nigerian sitcom Fuji House of Commotion. "It's been a solo journey i.e. I have been responsible for the financing so far, I had a very good team to work with and I am proud of the work I have," the actress added, speaking of her solo debut. "Music from the Soul" is a neo-soul, jazzy song jointly written by the singer/actress and singer Aramide, produced by E.Kelly and the video was shot in New York. Rocking My Freedom on the other hand is more of an 80s' pop song.